To teach children about conservation. To further work to unite sportsmen, agriculture and communities. To preserve land particularly in areas of rapid development. To provide and preserve precious multi-use habitat for children. To provide outdoor learning center near schools. To teach children personal involvement can positively impact wildlife and habitat. To offer all youth an opportunity to participate in, and enjoy the great outdoors thru safe, responsible use. We need to preserve land NOW to make this opportunity available for our future generations. Check out http://youth.nra.org and find other great youth programs. Join our facebook contest and win a free hat! Go here and share this image to enter! How can YOU help USYF? Click here view guns available for purchase. 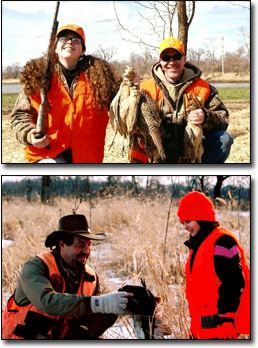 Each gun sold benefits The United Sportsmen's Youth Foundation! Click here to learn how to become a member or donate!